I’ve heard that acceptance is the first step to acknowledging that you have a problem. But what if you accept something, but do not really see it as a problem? Perhaps that is the point. That really is not acceptance. Oh well. Here goes. My name is Andrew, and I am a weight weenie. 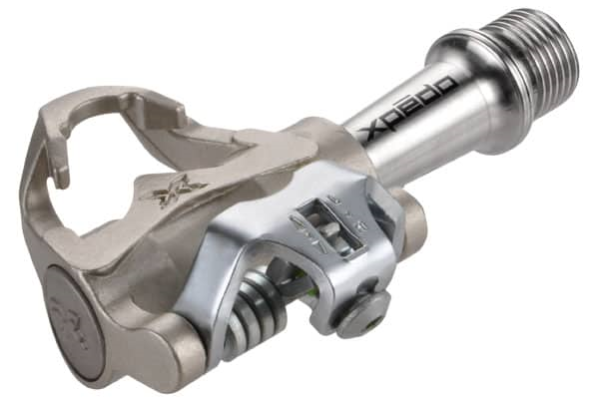 Lets leave the discussion around whether that is something requiring help till later, and focus instead on the lightest two-bolt SPD compatible pedal that I am aware of – the XPEDO R-FORCE-6. The SRP is high, but the scale is low. I like the packaging, and the fact that you get stickers for the bike box (who doesn’t love stickers?) included with the XPEDO R-FORCE-6 pedals. Which, considering the $259 SRP (you can find them for much less), is nice, but I’d rather they knocked $100 of the price (maybe sell it without the cleats). One important thing to note, and it is nice that XPEDO reminds us, the R-FORCE-6 is not suitable for anyone over 85kg/187lb. Which while annoying for heavier riders, is standard for anything with a titanium spindle. All that said, the pedals themselves look nice, are likely to be more aerodynamic than a two sided pedal, and no one else has them – so be prepared to explain what they are. Clipping in to the R-FORCE-6 is the only main difference in ride compared to a two sided SPD pedal. This is exacerbated by the weight distribution, as it tends to pull the back end down and under. 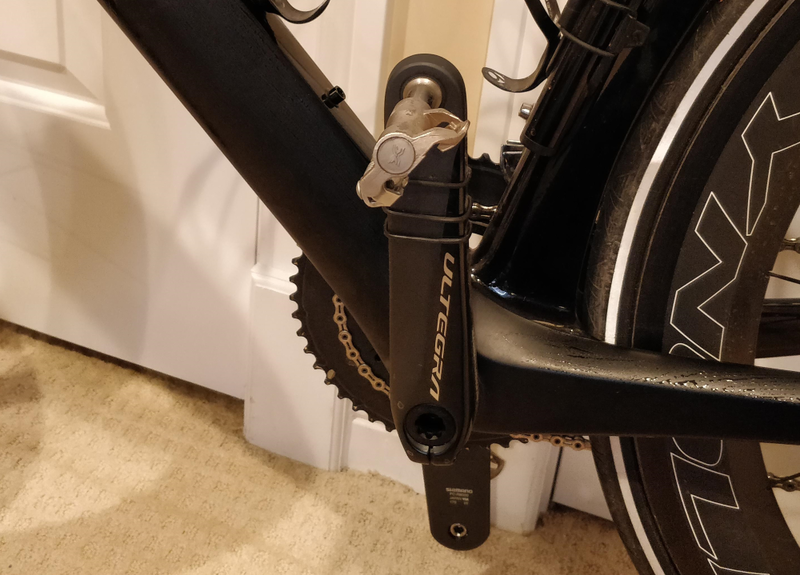 Once you are in though, it is just as connected and secure as any other clipless pedal. So with a bit of practice, and understanding co-riders (although anyone riding a “normal” road pedal also deals with this to some extent), it is fine. With only around 250 miles on the R-FORCE-6 durability is still an unknown, but so far, so good. There is quite a bit of scaring both on the underside (still getting the clip in figured out) and where the pedal interfaces with the cleat. One interesting thing to note versus other SPD pedals is that on the outside, the pedal is always directly connected with the cleat; metal-to-metal. There is a bit of an air gap between the cleat and pedal on the inside during the upstroke where the rubber on the shoe expands, but this quickly disappears even when pressing the shoe down with my hand, so I would be surprised if there were any power loss associated with the rubber deflection. Certainly do not feel any unwanted disconnect or float when cranking out the watts. Rubbish cleats do nothing to diminish the value of this super light SPD pedal. Do yourself a favor and drop them straight in the bin. But most likely, if you’re shopping this pedal you already have a proper set of two bolt MTB shoes and no reason to even bother taking them out of the bag. Clip in is harder than a two sided pedal, but we all knew that going in. Once you are connected to the bike, ride is just as good as any other clipless pedal. Enjoy the g shaved off the bike, and have a good chuckle (inside the head, of course) at all of the roadies hobbling around at the cafe, or when an impromptu “CX” section pops up in your planned route. I exceed that max rider weight by a good amount – not for me (no one cry – a common problem for us clydesdales). I find that on sketchier parts of New England trails (either the cleat is frozen with mud/snow or I’ll need to put a foot down quickly), I will often bike without the cleat engaged, which means I generally need something with a little bit of platform to push against. I have a pair of older Time pedals that have a flattish platform and are bomb proof, but weight weenies would be fully triggered. Yeah, noone makes a lightweight pedal for heavier riders. Not as much need to though, besides bragging rights :). Shimano makes a nice double sided pedal with a flat side and a clip in side. I’ve never seen the need personally, but I do use a M520/M540 when there’s a lot of snow and ice around for much the same reasons you mentioned.